Wonder no more while staying at Redwood Harbor Village! Below we have a list of the many available places to eat at while staying with us. 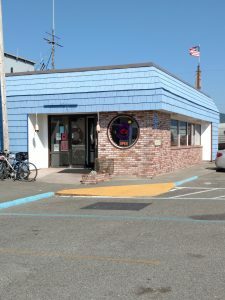 Our spotlighted restaurants are within a very short walking distance of Redwood Harbor Village while the rest are just a short drive away. Check out their online menus here. Local, sustainable caught seafood straight from the boat. We sell local, sustainable caught seafood straight from the boat. The California crab season has closed, hopefully to reopen in December. 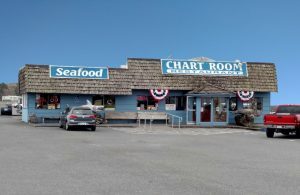 We will no longer be cooking crab but have a good supply of oysters, local rock fish, ling cod and shrimp. The albacore tuna are starting to show up. 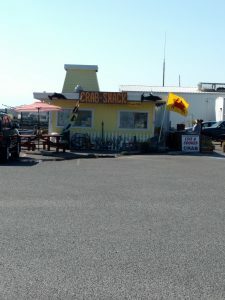 Check out the Crab Shack’s offerings here. 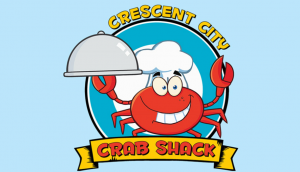 Check out Crescent Seafood Market’s deli menu here. All food is made to order: burgers, seafood, sandwiches and salads. We offer an assortment of foods and beverages. 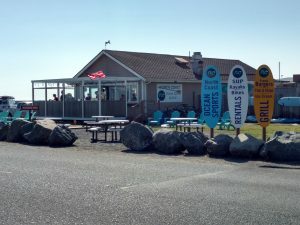 We have outdoor picnic table seating, a fire pit with Adirondack chair seating, patio seating and inside seating to accommodate any kind of weather and comfort. Check out North Coast Grill’s menu here.